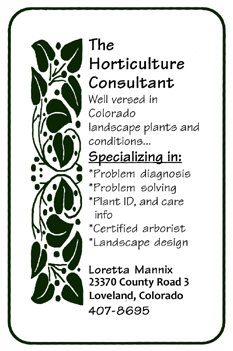 Loretta is a Northern Colorado landscape designer and landscape consultant. She holds degrees in fine art, landscape horticulture/design concentration, and entomology from Colorado State University and is an I.S.A. Certified Arborist. A Colorado native, she has worked in the green industry with a passion for horticulture for over 40 years. Her landscape design and landscape consultation services have been invaluable to clients in Fort Collins, Loveland, Berthoud, Greeley, Johnstown, Windsor, Longmont, Wellington and Northern Colorado as a whole. In her free time Loretta enjoys gardening, hiking and traveling with her husband Kevin and dog agility with her dog Piper. 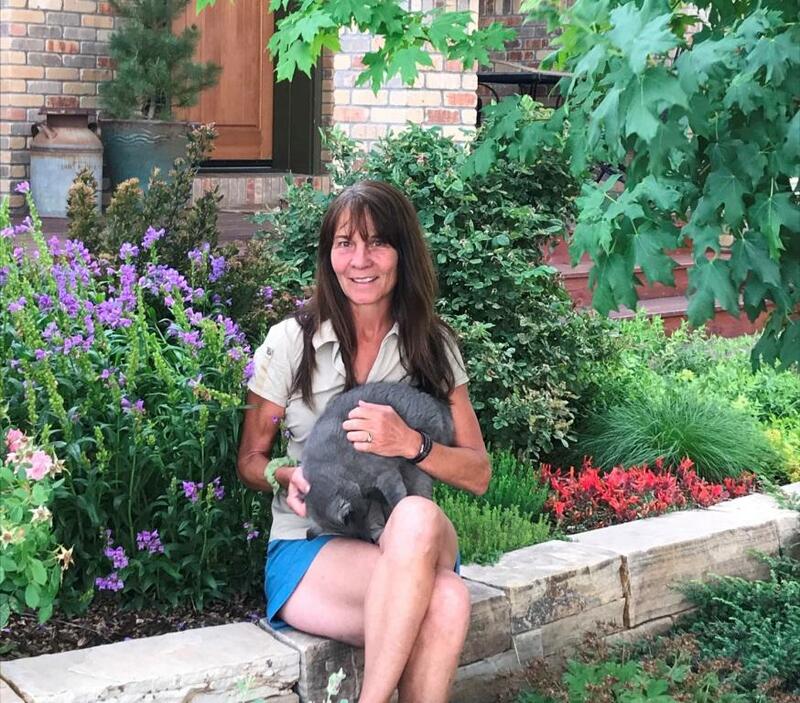 Loretta provides unbiased, expert information in many areas of horticulture and landscape design ensuring a successful Northern Colorado landscape. Her background has equipped her with expertise in the areas of planting design, plant selection and maintenance, hardscape design; patios, decks, paths, terrace walls, water features, fire pits/ places, etc. To be thorough and offer the most value during hourly landscape consultations pest identification/control and proper pruning know-how are also areas of expertise she has honed and is happy to share. Loretta has always felt that the key to success is knowledge and strives to pass her knowledge on to clients assisting them in developing and maintaining a flourishing landscape. She works for the best interest of her client in anything she does, and performs each job as if it were for herself.